It's been nine years since I graduated Brandon University with my BA and I can't believe how fast the time has gone. 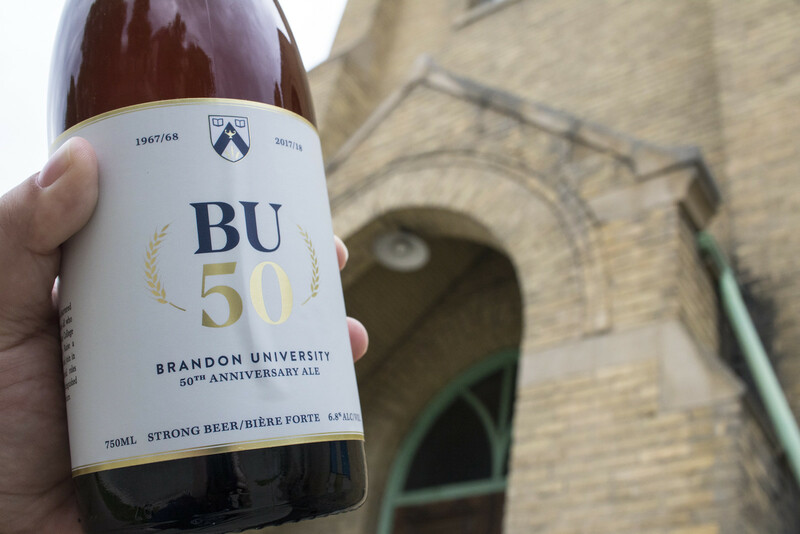 I feel like I spent more time in the university pub (RIP) than in classes discussing politics and how it'd be kickass if Brandon had a brewery. 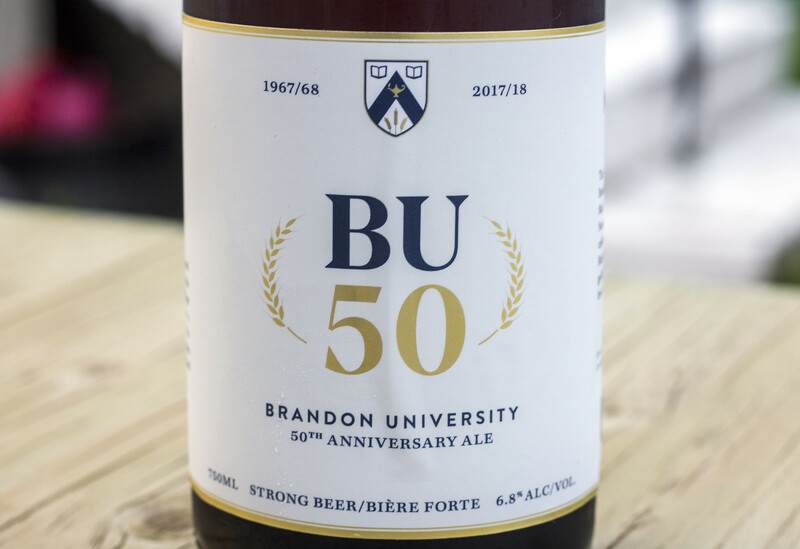 It's been 50 years since Brandon College received their university charter, so to honour the occasion Brandon University teamed up with Winnipeg's Nonsuch Brewing to create a special beer to honour the occasion. 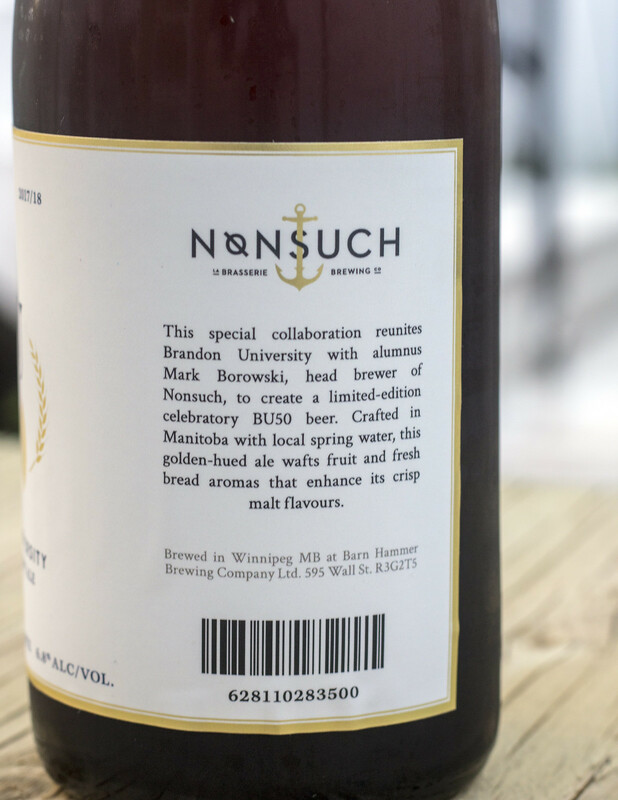 Nonsuch brewer Mark Borowski is a Brandon University alumnus while two of their other co-owners were raised in the Brandon area so it only makes sense to partner with a brewery that knows the Brandon market. They decided on a Märzen-style lager ale that tops out at 6.8%, which I think will be widely appreciated by the typical Brandon beer drinker and Brandon University alumnus. 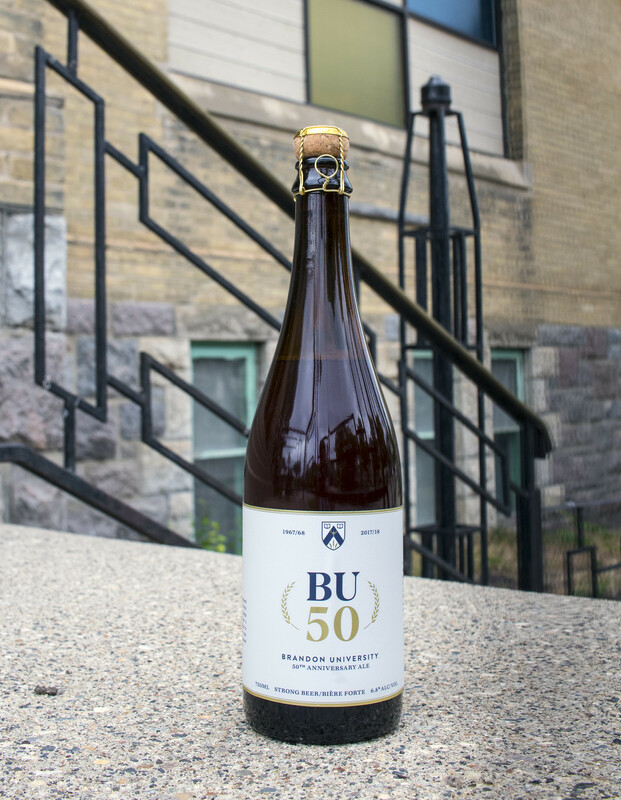 This marks the first time since 2007 that there's a beer created to honour Brandon in any way - the last time being Assiniboine Lager by Big Rock Brewing, which in reality I found to be a rebranded bottle of their XO Lager. 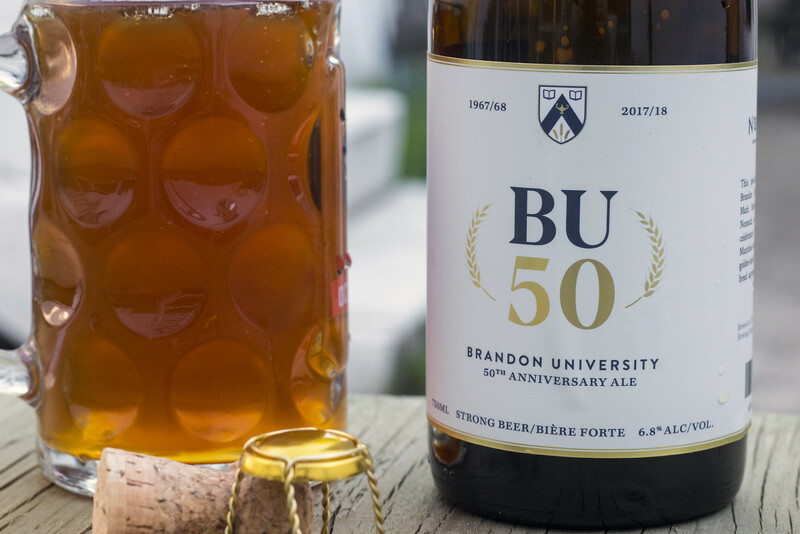 The Märzen, AKA BU50 was just released right in time for Brandon University's convocation and there's plans for more batches to be made if the demand is there, and brewed again in time for BU's homecoming event in October. 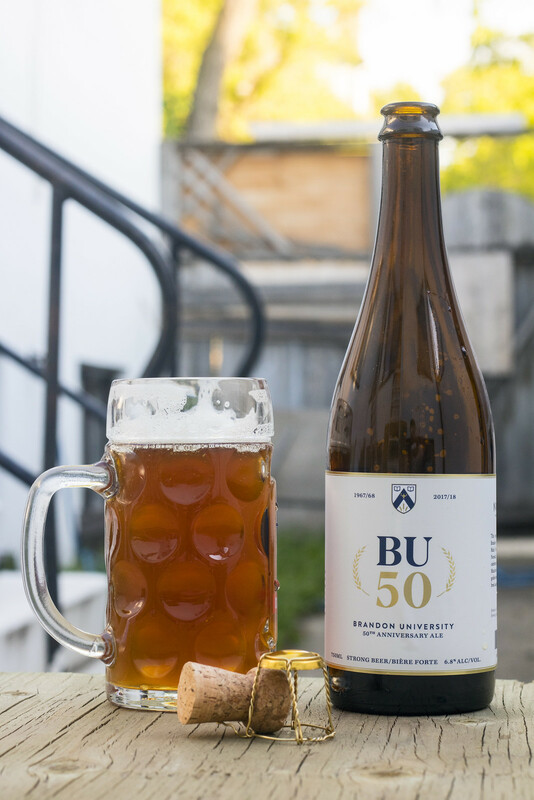 Appearance: BU50 pours a hazy orange honey comb body with a light amount of carbonation in the body and has a thick off-white head that diminishes to a bit of lacing on the side of the glass and a thin layer of bubbles on top of the beer. Aroma: A bit nutty, incredibly sweet, and a bit grassy. There's a bit of a toasted malt profile in there that gives it a bit of that nuttiness that I just described and an a hint of sweet toffee in every sniff. There's a light grassy hop profile popping up here, a bit of a sweet biscuit dough scent and it has an aroma that seems suitable for the demographics of South Western Manitoba - it's not overbearing nor is it boring and light. Taste: The initial taste I get is an up-front malt sweetness that has a toffee profile to it, followed by a bit of a metallic bite to it, a bit of a subtle grass hop presence and a gritty, toasty grainy cereal presence to it. The beer is clean, easy to drink, very sweet and malty, and has a bit of a mixture of metallic and caramel for the aftertaste. Seeing that it's 6.8% ABV, it quickly creeps up on you! Overall Thoughts: I thought I'd be going much more in depth in the review than I actually did, but all in all - it hit the mark in every category on what I expect out of a Märzen-style lager ale. 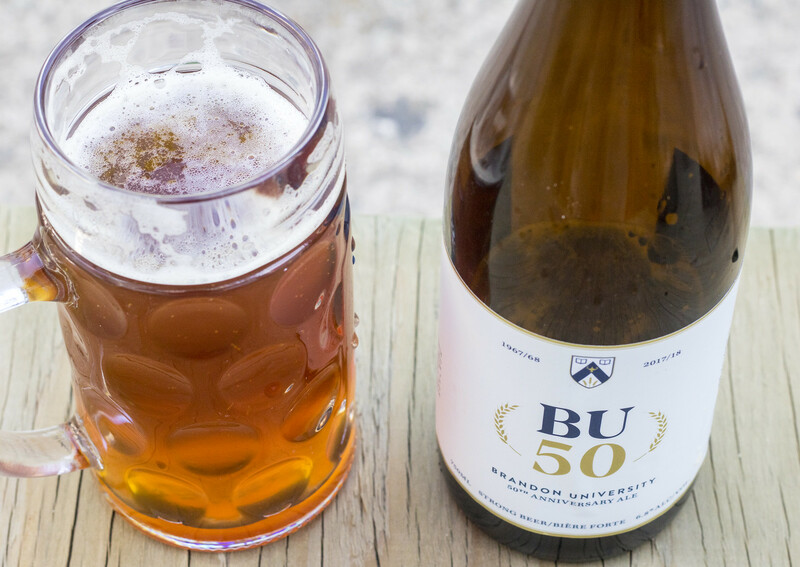 BU50 is sweet, easy to drink, isn't in any way complicated nor is it boring at all. I feel that as I stated when discussing the aroma - this is the kind of beer that the typical beer drinker in Brandon or South Western Manitoba would actually enjoy drinking as this is still a Bud Light market unfortunately. 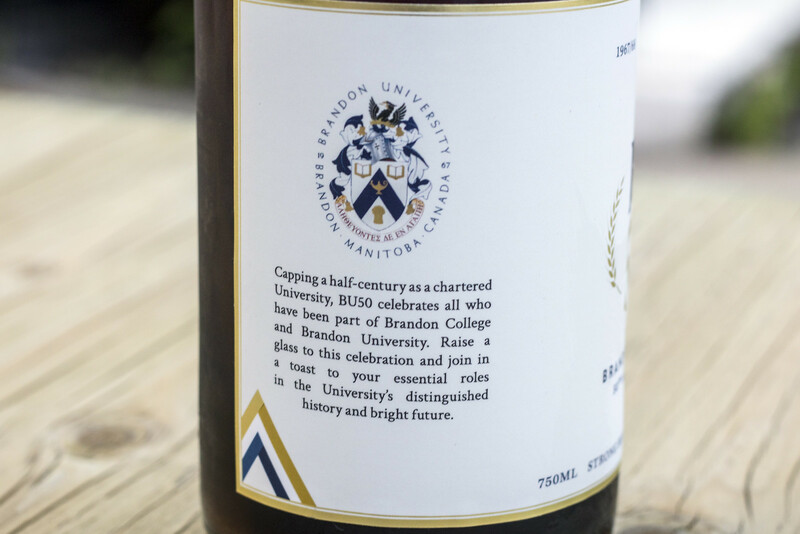 The price point ($19.68) may be a bit excessive, but seeing that Nonsuch was the brewery that created the brew, and the proceeds are going to be used as a fundraiser for Brandon University's BU Foundation. Typically, I find Märzens are best served during Oktoberfest, but seeing that Brandon University's homecoming event is taking place in October.. maybe the homecoming will have an Oktoberfest theme?! The beer is already sold out in most of Brandon but Nonsuch is currently brewing their second batch of the beer which should be ready in about a month. If the beer is successful enough, it will be sold at rural Liquor Marts in Western Manitoba and eventually Winnipeg Liquor Marts as well. One last thing, Nonsuch announced their plans today to finally open up a brick & mortar brewery! They will be located at 125 Pacific Ave in Winnipeg, which is the location where PEG Brewing was located until they closed a few months ago. I can't wait to see their digs!